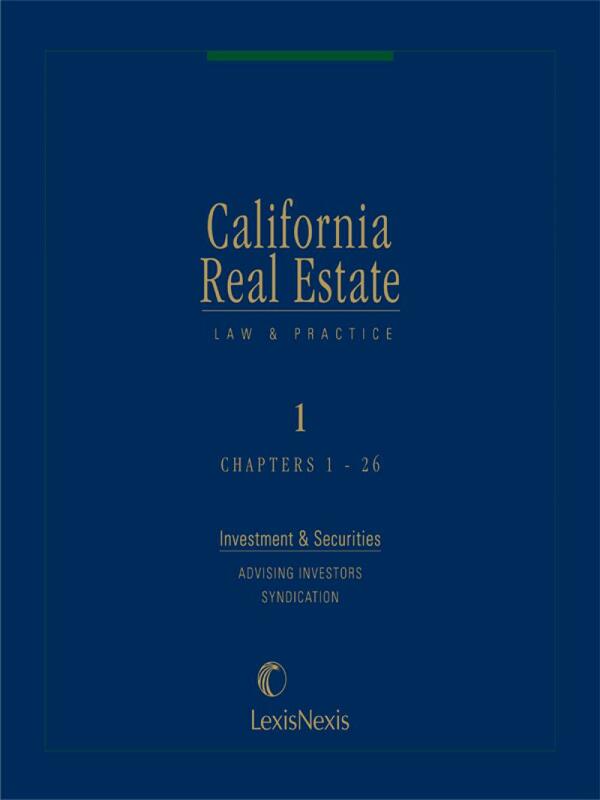 The most extensive, integrated coverage of California real estate law available. This Transactional Format Puts Vital Information At Your Fingertips. California Real Estate Law & Practice discusses every aspect of real estate litigation and business practice, complete with tax coverage of real estate transactions. Its extensive analysis of governing laws is complemented by (1) a one-volume, annotated compilation of significant California statutes and regulations, and (2) numerous practice-oriented features. Timesaving Features For Your Research. 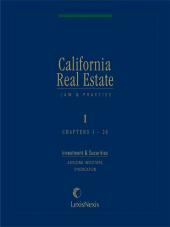 Throughout California Real Estate Law & Practice you'll find reference materials and practice aids incorporated directly into the text to help expedite your work, including: illustrative filled-in forms; practice tips; acquisitions and financing tables; bibliographies; tables of statutes and cases; and cross-references to direct you to all relevant real estate forms in other Matthew Bender titles. • Bernhardts California Real Estate Laws, a one-volume compilation of all significant laws and regulations that affect California real estate and the real estate industry; includes highlights of new legislation and expert commentary prepared by the volumes authors. • Practice tips that contain practical advice or commentary and reflect the expertise of California real estate practitioners. • Digest of recent real estate cases.